This documentary is a gem. Not only in terms of its subject matter but in the way it is conceived and presented. 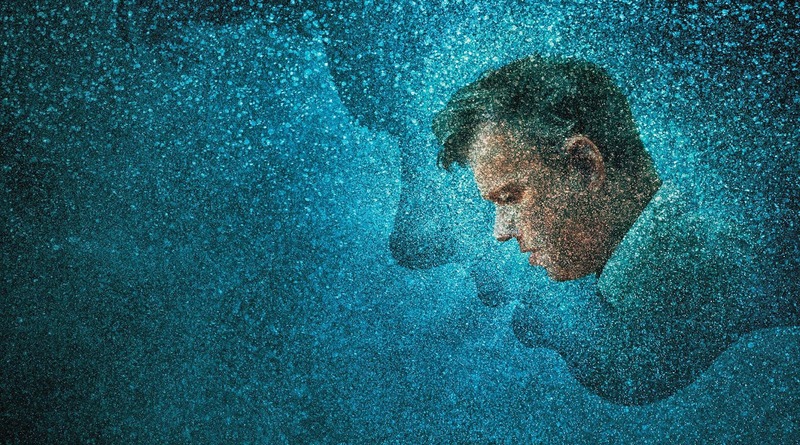 The film follows the rehabilitation of Edwyn Collins following a major stroke. What is different is that there are no interviews with medical people or technical medical explanations of what happened. All we know is that Collins could only utter four things following his stroke: 'yes', 'no', 'Grace Maxwell' (his wife's name) and 'the possibilities are endless'. Suffering a stroke is a major and unwelcome event in anyone's life. Collins is a well respected rock songwriter and singer who was lead vocalist with the group Orange Juice. He also owns a record label, is a noted artist and has won an Ivor Novello award for his acting - a man of great talent and creativity. A man able to express complex ideas through simple poetry. Much of the early part of the film is taken up with dreamy sequences (similar to the picture above) and dramatic music interwoven with shots of his own son and girlfriend and views of childhood haunts as Collins begins the painstaking task of rebuilding his sense of self. Through writing lyrics, drawing and singing he gradually begins to regain his ability to express himself. Progressing to giving concerts and recording new material in his studio, Collins rebuilds a different life but a life that allows him to say what he feels he needs to say in a no less effective way. The film is based on a series of interviews conducted by the Directors James Hall and Edward Lovelace with Collins. Resisting the temptation to end his ponderous sentences for him, the pair coax out of Collins a long series of poetically descriptive monologues that give an insight into his struggle to rebuild his inner world. These are played over a series of images that interpret his words and offer an insight to the tedious and long process of stroke rehabilitation. This is an uplifting film filled with much laughter and many shots of his constantly smiling wife Grace who throughout is his loving and gently chiding rock. I know that there are a wide range of recoveries experienced by stroke sufferers and not everyone is able to experience the degree of recovery Collins has worked so hard to achieve. However, as I've said, this film offers so much more than simply charting someone's rehabilitation from a stroke. At 83 minutes it is a perfect length and the extra interviews with the Directors is well worth a look. If you fancy something different and uplifting, do add this to you watch list. I'll give it 8/10.